Five months after a deadly fire in Griswold, State Police have made an arrest and the Hartford woman appeared in court Monday. 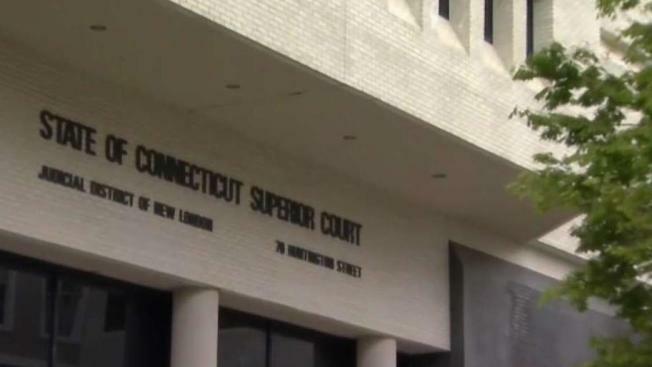 Connecticut State Police arrested Ruth Correa, 23, of Hartford, in connection with the deaths of three family members in Griswold and she was taken into custody Saturday morning and charged with murder, murder with special circumstances, robbery, arson and home invasion. According to authorities, the investigation started in December 2017 after the remains of husband and wife, Kenneth and Janet Lindquist, were found inside their burned down home on Kenwood Road in Griswold. The Office of the Chief Medical Examiner confirmed Janet Lindquist died of “homicidal violence including blunt impact injuries to the head” and smoke inhalation with thermal injuries. Police also said that a fire in an abandoned car in Glastonbury the same night of the fire was connected to the deadly fire in Griswold. On Saturday, May 5, State Police were called back to Kenwood Road on reports of human remains found in the woods. The medical examiner later determined the remains to be the 21-year-old Lindquists' son, Matthew. The office of the chief medical examiner determined that Matthew Lindquist died of stab wounds to the head, torso and extremities and his death was ruled a homicide. Shortly after, Hartford Police, along with assistance from State Police, obtained warrants and conducted interviews at two addresses in Hartford. Police said they arrested Correa on Main Street. She is being held on $2.5 million bond. She appeared at New London Superior Court on Monday and is expected to appear again in June. The warrant is sealed until May 29. Police said the investigation is ongoing and they expect more arrests to be made.